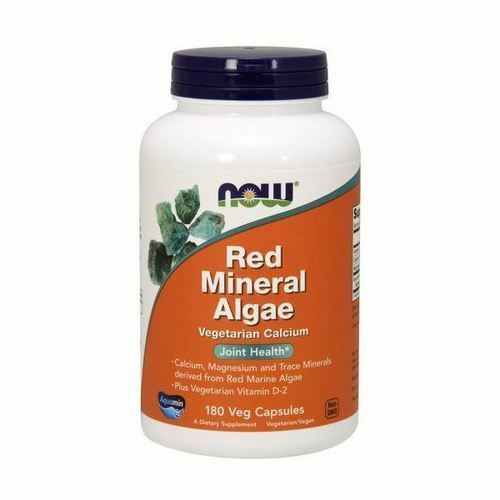 Aquamin® is a blend of mineral derived from red algae harvested off the coasts of Ireland and Iceland. Aquamin® is an abundant vegetarian source of bioavailable Calcium and Magnesium and has over 70 other important trace minerals. Research indicates that this multi-mineral complex may support proper bone mineralization and helps to regulate key factors involved in the normal immune system response to typical joint usage. Clinical studies demonstrate that Aquamin® can help to support joint comfort and mobility. A vegetarian-sourced Vitamin D is added to this formula to further support bone health. Cellulose (capsule), Stearic Acid (vegetable source), Magnesium Stearate (vegetable source) and Silica. Contains soy.